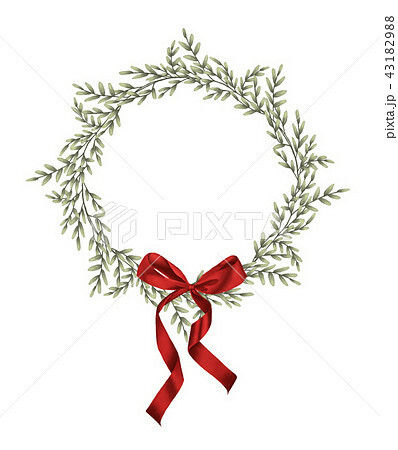 Green leaves wreath and red bow in vintage style with white background. Round of branches with leaves. leaves and place for text.